The materials below are made available to news organizations and bloggers interested in RECaf. Modification and reproduction of the materials below is allowed in stories, reviews, or posts about RECaf and Joe Cieplinski. Non-editorial use of the materials below is prohibited. 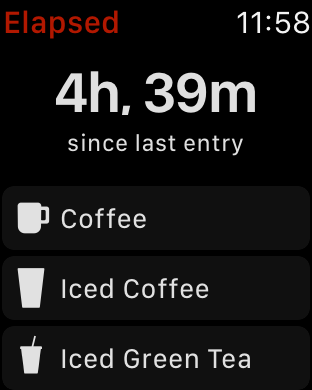 RECaf is the simplest way to track your daily caffeine intake using your iPhone. With intelligent features that learn your most frequent sources and habits, RECaf will not only make logging every entry a breeze, it will also remind you when you are likely to have forgotten. 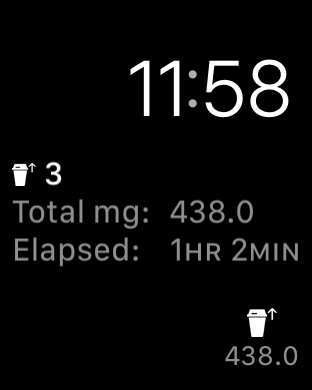 Caffeine is a drug, and knowing how much of it you are taking in every and how it effects you personally is an important part of your daily health routine. 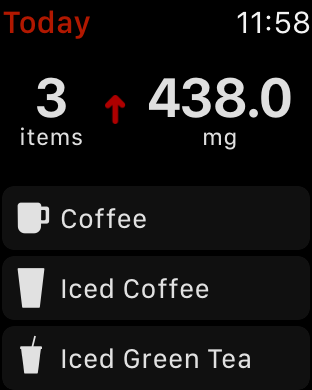 Whether you're drinking espresso, tea, energy drinks—or eating chocolate, RECaf can help you log it into your HealthKit database and provide you with clever statistics that will help you make healthy choices. RECaf is free to download on the App Store. A 14-day free trial is available to try all of RECaf's features at no risk. After that, a single, yearly auto-renewing subscription of $4.99 USD (pricing will vary depending on local currency in other markets) will unlock all of RECaf's features. Download on your iPhone by visiting the link below. 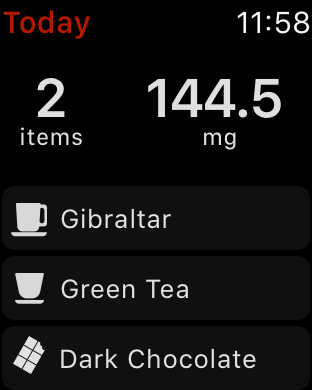 RECaf's logging features require access to Apple's HealthKit, which is available for free on all iPhone and Apple Watch devices. Joe is happy to make himself available to any journalists, bloggers, or podcasters wishing to discuss his applications or the business of iOS app development. Get in touch via Twitter or email to schedule an appointment. RECaf was conceived and created by Joe Cieplinski, freelance developer and designer in New York City. 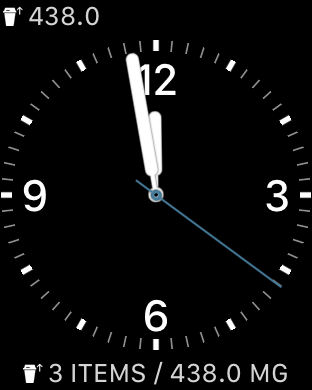 You can read more about Joe on his blog, or listen to his podcast, Release Notes.